Nate made us smile last Sunday afternoon because of fondness in taking pictures! It’s the first time he tried to take photos of the things he saw outside, he’s just learned to use the camera (and the timer) on my phone and he was so happy it took him about an hour or more before he let go of the phone! He was so cute, I can’t help but share it here! Ah, my son is learning more and more everyday. Dane and I are both excited and sad for him. We’re happy that he’s developed each day but also sad at the same time, that Dane is not here to witness all these. Our goal is for Dane to “bawi” when he comes home. We want him to make up of the time he’s away with Nate and I’m sure Nate will love that too. When I’d ask him if he wanted to play football/basketball/badminton with his papa, Nate responds with all smiles and a “high pitched” tone. lol. I know he misses his papa too and Dane missed him even more. So going back to his photography, I’m sharing his funny positions here while he’s trying to take photos of the flowers and leaves on Sunday. What’s even more funny was at first, the camera was set to front cam but he’d still try to take photos of the leaves, he didn’t care if it’s his face that’s occupying the camera screen. haha. Oh, kids are surprisingly cute and funny! Photos taken by my sister because I was too busy taking videos to show to Dane. lol! Nate’s first try on the so called “nature photography” hahahaha. Way to go, son! That’s the video (sorry it happened around 6PM so it’s dark). But yeah, we had fun watching him. And some of his positions to take pictures are priceless! Unfortunately, for some “I don’t even know” reason, all the photos he took were not saved which made me really really sad. I was hoping to show those photos to him when he’s a little older. Here’s what I only got when we were already inside the house and he still wouldn’t stop taking pictures. 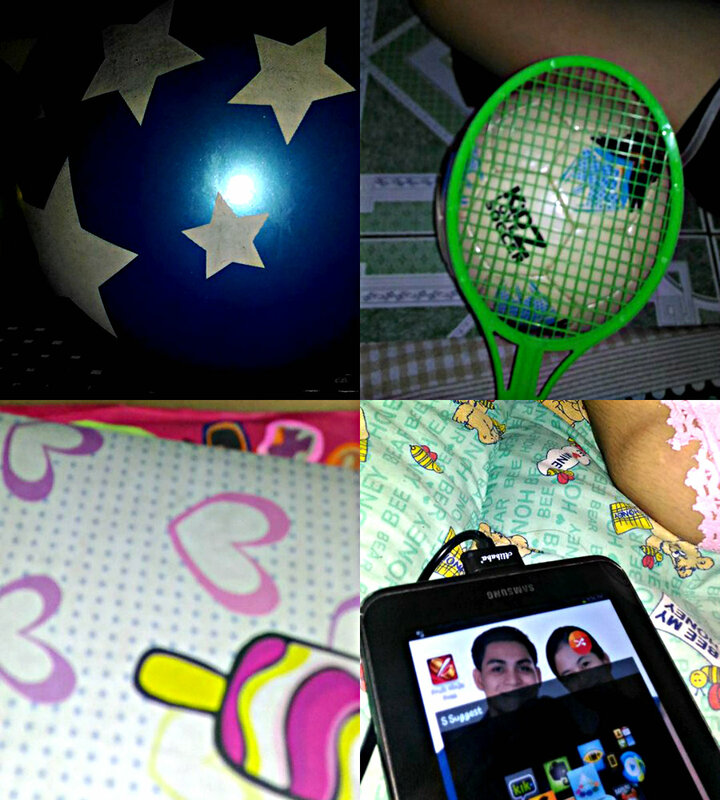 Clockwise: His badminton racket and football, his tab, the “ice cream” on the photo album and his ball. All taken by Nate but I’ve edited the contrast/brightness/sharpness of these photo. Kids just bring so much joy to us. I can’t imagine life without Nate anymore. We love him so much. What are the things that your child or a fave kid did that made you impressed? I’d like to hear! 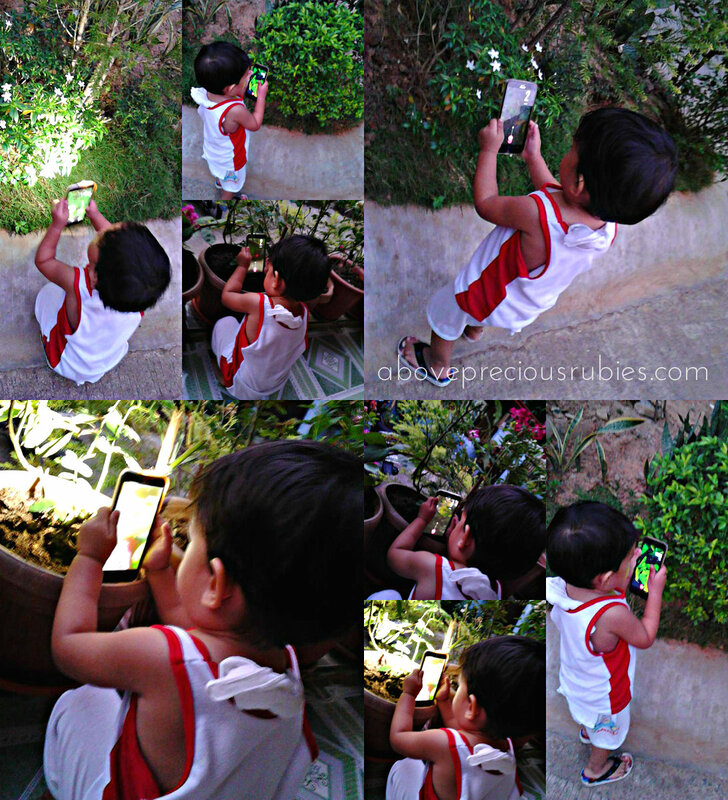 My son loves to take pictures and videos too, magugulat na lang ko na ang daming selfie. hehehe! It's exciting when they first discover photography, isn't it? They take pictures of everything! And all of a sudden you get a couple of pictures that are just so lovely! Wow Nate you have a future with photography 🙂 So cute! yes, so true! it's amazing when they start learning. hahahaha! iniimagine ko si kulit! lol! Yes sis, super bilis lumaki, nakakatuwa! it's bittersweet sis! They grow up so fast, at the same time we get excited about the things they'll learn each day! waa! ang cute naman ni Nate! Nagpi-picturena sya mag-isa! kaya nga e, nakakatuwa. hehe.